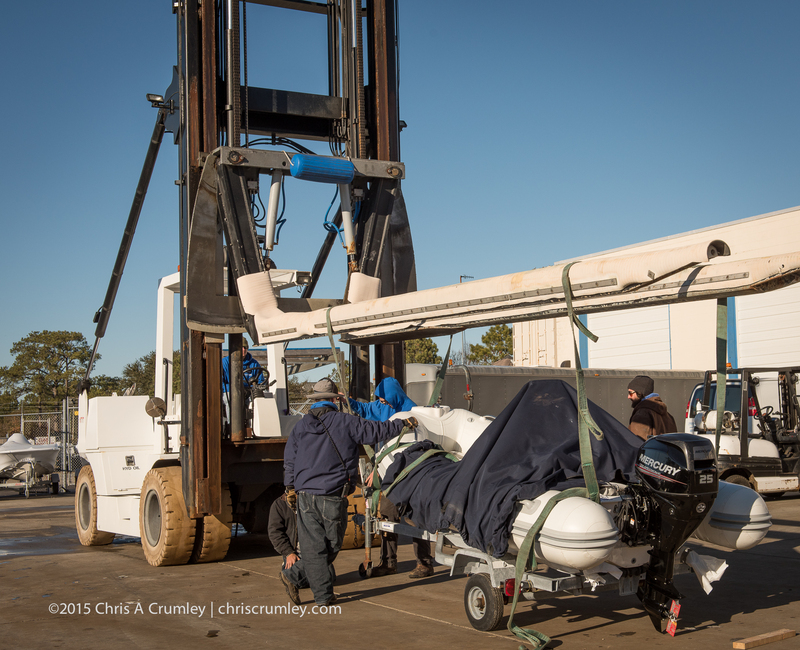 AB RIB gets a new 25hp Mercury outboard and loaded on trailer for some work at Lakeside. It will be the shallow water drone launchpad and Eastern Shore island exploring/shooting boat for warm weather. At Lynnhaven Marine service and rigging departments, Virginia Beach, VA.